WE CARE FOR YOUR FURRY FRIEND! Pet Emergency? Call us right away at (814)-725-6400! Hometown Veterinary Hospital is dedicated to providing the highest standards of veterinary medicine with compassion and care. We value each patient and care for them with the same love, dedication, and passion as our own pets. We will continue to educate our staff and provide clients with information regarding the treatment and diagnosis as well as preventative medicine for their pets. Dr. Williams joined the Hometown family in 2013 and purchased the practice in 2015. She obtained her bachelor’s degree in Wildlife Management from The Ohio State University in 2005 and her Doctor in Veterinary Medicine from The Ohio State University in 2009. Before Dr. Williams was hired by Dr. Amy Keith Renshaw in 2013, she spent 2 years working in central Pennsylvania in a mixed animal practice and 1 year in Ohio practicing emergency medicine. 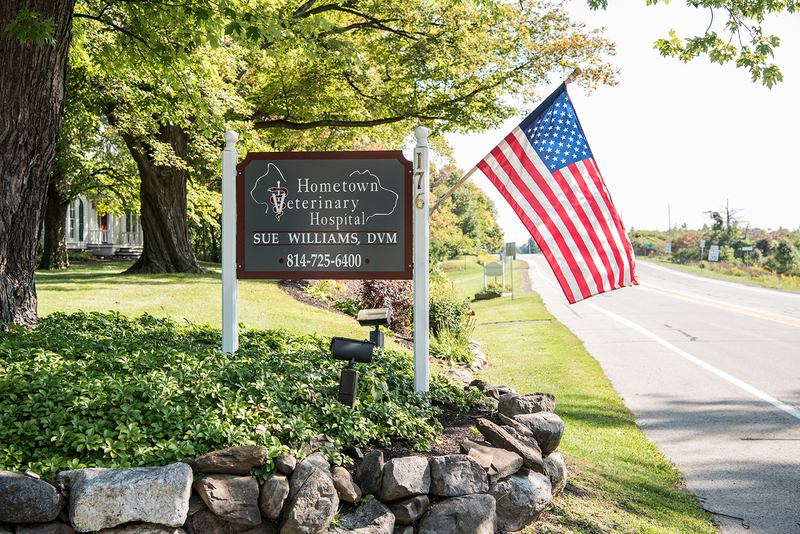 Dr. Williams says, “The staff and clients are wonderful and friendly at Hometown. The staff provides excellent care for the patients. It is a family friendly environment.” She and her husband, Ray, have 2 young sons. The also have Avery, a lab who enjoys playing with the family’s cats; Stewie, and Bubba Sprinkles. In her spare time, Dr. Williams enjoys swimming, triathlons and spending time with family. "Great place for your loved pets . Nice caring people . A very clean business . Very knowledgeable vets . So glad I switched to Hometown Veterinary Hospital !" "Hometown Veterinary Hospital has a professional staff who show they truly care for your pet."